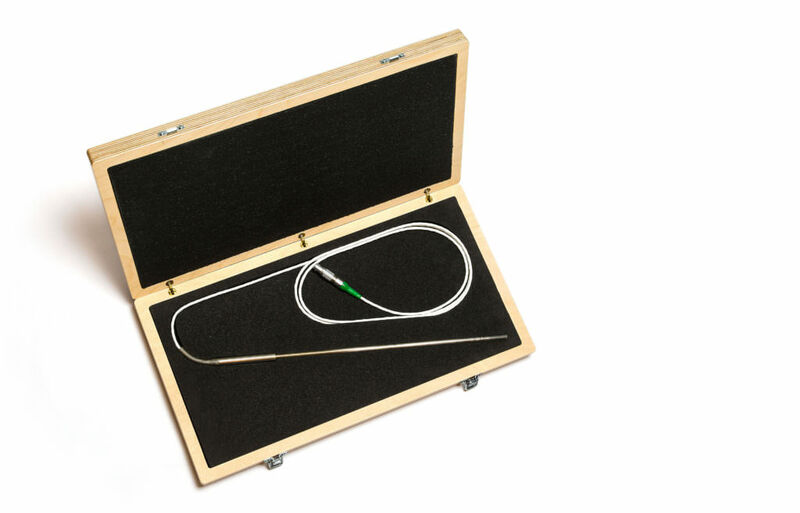 The Beamex smart reference probe (RPRT) is a high-quality and extremely stable PRT temperature probe with an integrated memory that stores individual sensor coefficients. The Beamex smart reference probe contains an integrated memory that stores individual sensor coefficients. The sensor works as a “plug-and-play” with the Beamex FB series of temperature blocks (R model). The temperature block automatically reads the sensor coefficients from the sensor and makes the necessary adjustments, eliminating the need to enter coefficients manually. The smart reference probe can also be used with the Beamex MB series of temperature blocks (R model), and sensor coefficients can be manually entered via the MB user interface. The smart sensor can also be connected to the Beamex MC6 calibrator. The Beamex smart reference probe is a high-quality probe that provides great accuracy and excellent long-term stability.